My favorite mascara is a bargain at just around $7. 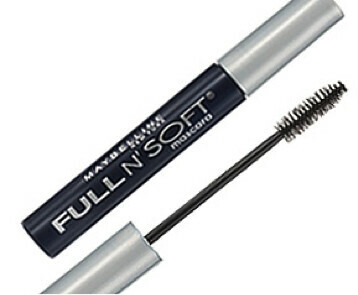 Maybelline Full N’ Soft Mascara is the best one I’ve found to date. I use both regular and waterproof depending on the occasion. It gives volume without clumping and it lasts until the tube is empty (unlike other brands that often dry up in just a few weeks). If you’re on the hunt for the perfect product to gloss your lashes with, I highly recommend giving Full N’ Soft a go! What mascara do you use and why? Click here to check out more of my Beauty Essentials!